Blogger’s block. We all deal with it at one point or another. What helps me is to keep a journal in my purse where I write ideas down when they come to me. I also have one on my nightstand. This way I have something to refer to when I just can’t think of anything to write about. Come up with a list of at least 10 ideas of what to write about. 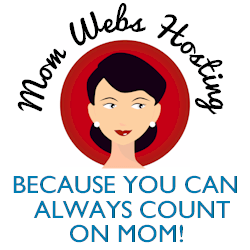 Take a look at 101 Post Ideas for your Mom Blog at Mom Bloggers Club for inspiration. Google Trends shows you today’s hot searches, where you might find something interesting and current, or you can break it down further and check out Google Insights for Search, where you can even search by location. This week, the health care bill, Sandra Bullock, NCAA basketball, and Easter are all top searches. It’s likely that you have an opinion or story to tell about any or all of those topics! Visit ProBlogger to read about his mind-mapping method. Clean up your categories. Remember that categories should be broad; don’t create a new one for every single post you write! After doing the first task above, you may even decide to add new categories based on popular keyword searches. If you’re on WordPress, use tags for more specific words. For example, this post is categorized under “Blogging” but tagged with “31 Days to Build a Better Blog”. On Blogger, you have the Labels gadget, which is just like WordPress categories. I like to be able to glance at a blog’s topics and quickly see what they write about, but sometimes these labels get out of hand! If you only have 1 post under a particular label, maybe you should think about deleting it! The label, not the post. Haha! So take a few minutes to sit down and brainstorm what your blog is really about, and come up with labels/categories accordingly. Since I am just starting out, it was hard to eliminate some of my labels (I am on blogger) but I did manage to cut out 2 of them so hopefully there aren’t too many now. :0) I already keep a little composition notebook around with possible post ideas. Thanks again for doing the 31 Days, it really is helping this “newbie” out a lot! I don’t have to scroll down more than one page to look through all your labels, so that’s a good sign. 🙂 Thank you for continuing to participate in this project! It’s been a lot of fun for me to work on.